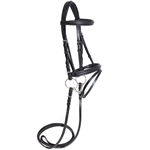 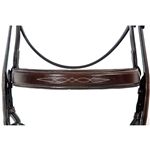 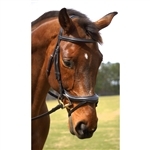 The Caterina Bridle offers the modern, wide noseband style that is popular in the hunter and equitation rings with old world craftsmanship for which Nunn Finer is known. 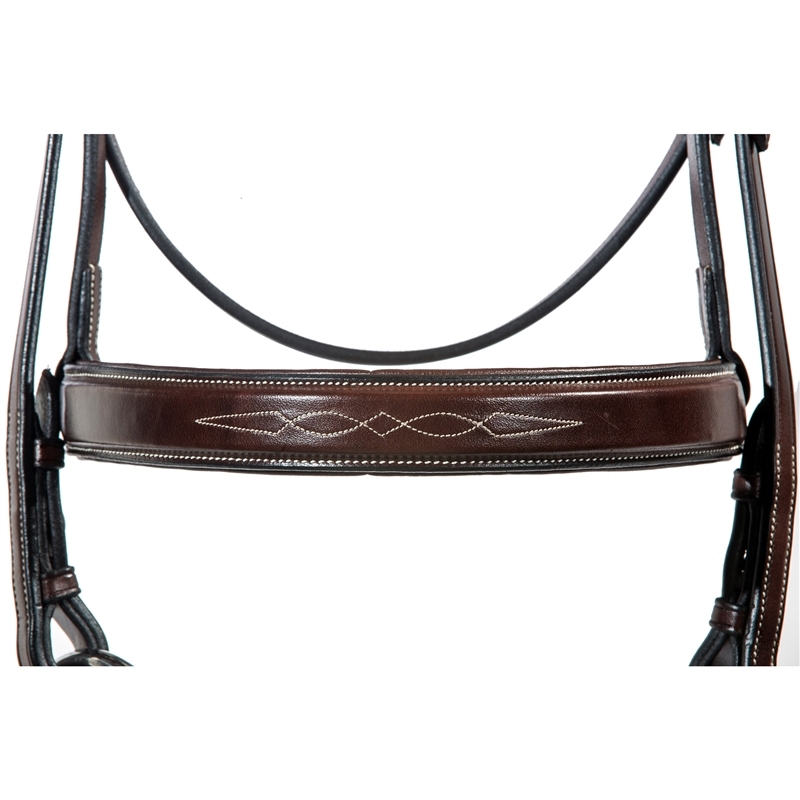 The brow and noseband are both flat raised and accented with fancy stitching which ensures that this bridle will stand out. 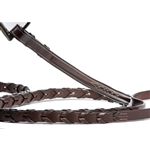 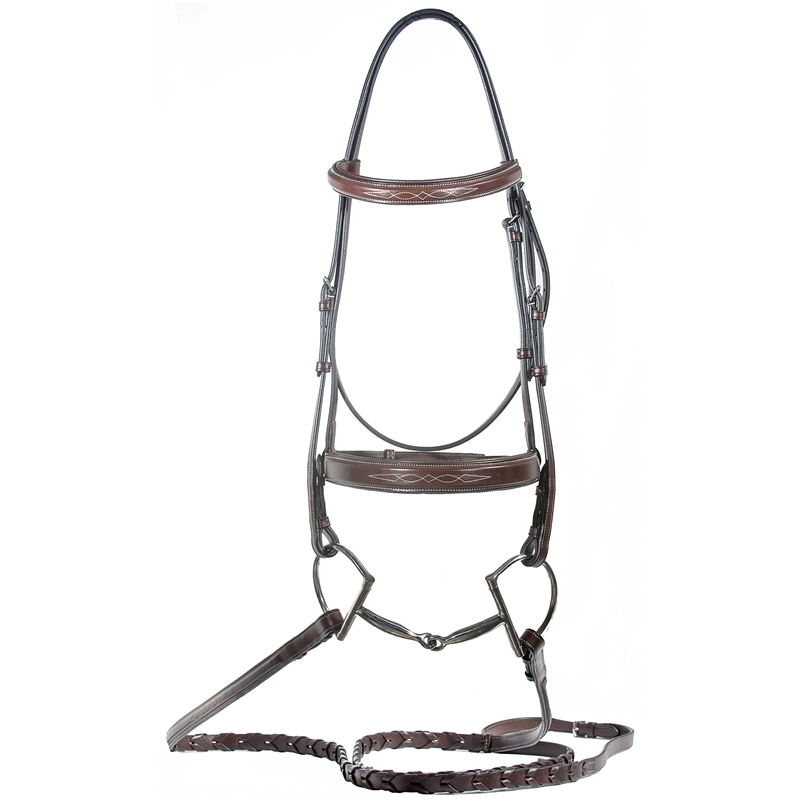 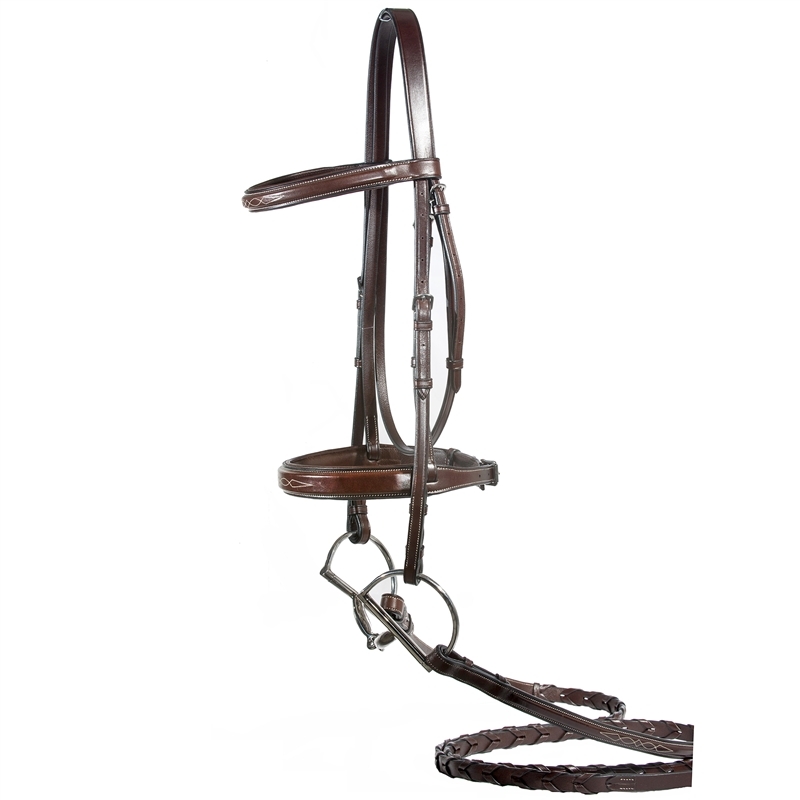 Made of exquisite Italian Leather, this hunter bridle has stainless steel hardware and hook stud closures. 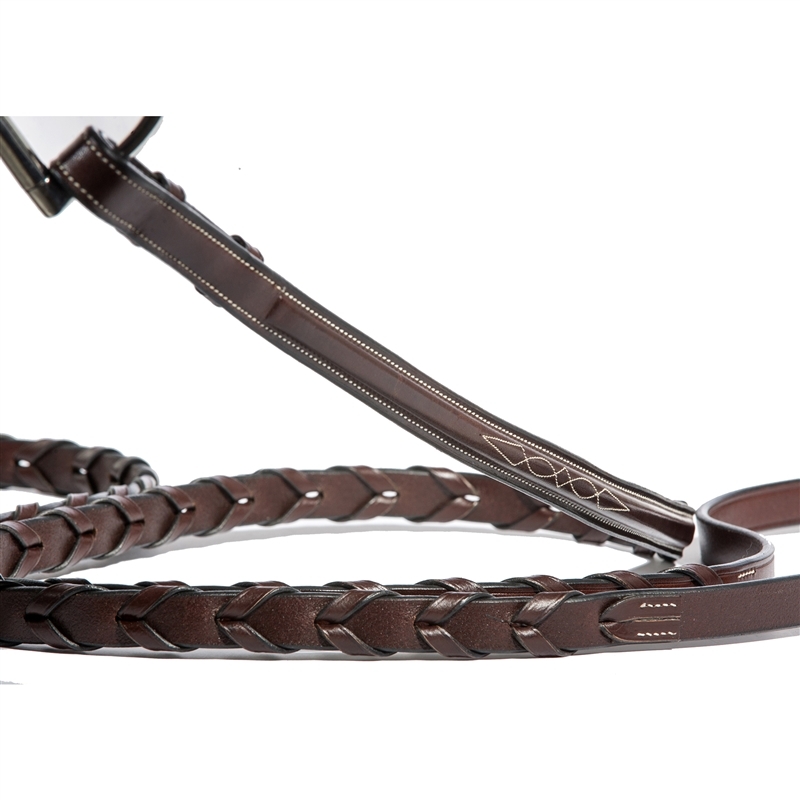 Made with the traditional Hunter crown that allows for a nameplate. 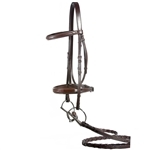 Fancy-stitched laced reins are included.